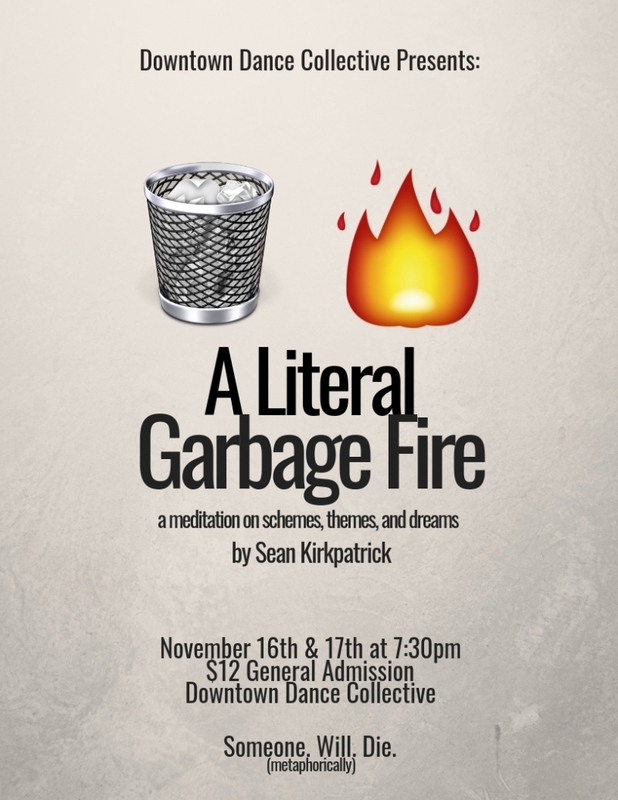 In continuation with his Artist in Residence series, Downtown Dance Collective is proud to present A Literal Garbage Fire, the new sketch-comedy show from visionary writer Sean “Sean” Kirkpatrick. Comedy! Music! Art! It all lives here in a post-apocalyptic world of laughs and goofs which will…What’s this? There’s been a murder?! Sorry folks, there’s been a slight change in programming. It seems the aforementioned sketch show has been derailed by a murder most foul! What will become of this show? What will become of art? Won’t somebody think of the children! Listen! 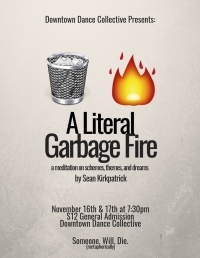 A Literal Garbage Fire contains adult language and some gun-related violence.